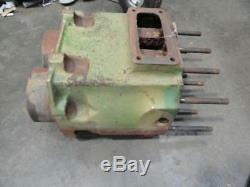 John Deere A 60 Cylinder Block Part number on the block is A4320R Used on As after SN 648000 And all 60s This is a standard bore block. 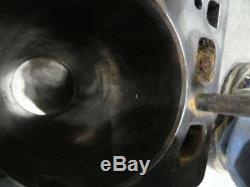 IT shows very little ring groove and light pitting on the top side of the number 2 hole. 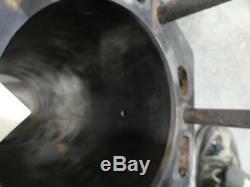 I do have the matching pistons that are also available. Could be used as is, but really should be bored to. The Block has been cleaned and check for checked for cracks by a machine shop Guaranteed to be free of cracks, welds or repaired. There is no broken studs. 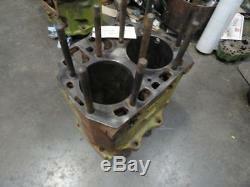 John Deere A 60 Cylinder Block. 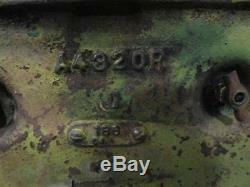 Part number on the block is A4320R. 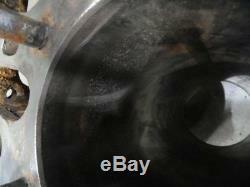 Used on As after SN 648000. This is a standard bore block. The Block has been cleaned and check for checked for cracks by a machine shop. Guaranteed to be free of cracks, welds or repaired. Parts Inquiries and General Questions Welcomed! Styled A B G 50 60 70 520 530 620 630 720 730. ALL INVENTORY IS NOT LISTED ONLINE PLEASE CALL. Be sure to add me to your favorites list. Get images that make Supersized seem small. The item "John Deere A 60 Cylinder Block A4320R" is in sale since Sunday, November 4, 2018. This item is in the category "Business & Industrial\Heavy Equipment, Parts & Attachments\Heavy Equipment Parts & Accessories\Antique & Vintage Equipment Parts".